Join us and give a meaning to your career ! Kabirou Mbodje says he knows what ails Africa: a lack of integration. “This is the key part of the problem in terms of developing on the continent,” says Mr Mbodje, the founder and chief executive of Wari, a money-transfer company, and at 53 one of the most prominent Senegalese business people of his generation. 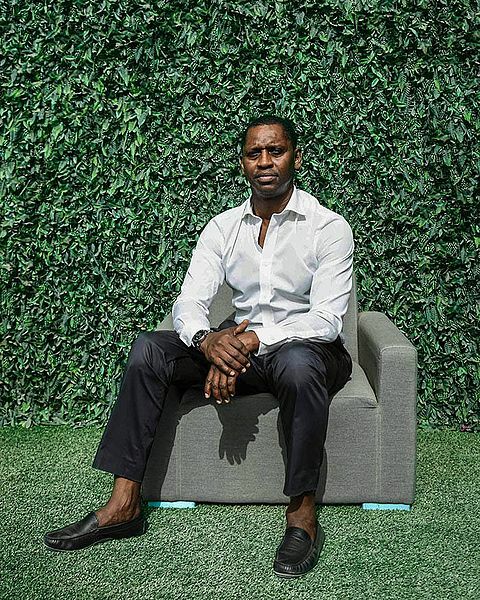 “This is the key part of the problem in terms of developing on the continent,” says Mr Mbodje, the founder and chief executive of Wari, a money-transfer company, and at 53 one of the most prominent Senegalese business people of his generation. The group was founded in Dakar in 2008 and now has more than half the country’s money-transfer market. It processes at least 1m transactions daily in 60 countries, allowing customers to pay bills and school fees, and transfer money worldwide. Mr Mbodje says Wari can become an African version of MasterCard and Visa — a neutral platform that will harmonise commerce across the continent. For now, the barriers to commerce in Africa are such that even trading with businesses in Gambia, a country that Senegal surrounds, is difficult. To expand Wari’s footprint, which is so large in Senegal that people say simply “Wari me money”, Mr Mbodje last year announced a $129m plan to buy Tigo, the Senegalese mobile telecoms operation of Stockholm-listed Millicom. The deal would give Wari access to the mobile money market that is dominated in west Africa by France’s Orange, Senegal’s biggest telecoms operator via its joint venture Orange Sonatel. Millicom cancelled the deal in July, saying the business would be sold instead to a consortium that includes Sofima Ltee, Teyliom Group and NJJ Capital, an investment vehicle controlled by Xavier Niel, the French telecoms billionaire. Wari is suing Millicom in Senegal and filed for international arbitration in Paris, after Senegal’s ­President Macky Sall issued a decree approving the initial deal. Millicom did not respond to a request for comment but has filed its own arbitration request against Wari. Mr Mbodje argues that there are problems around access and fairness. Senegal offers only three telecoms licences, so companies can prioritise their mobile money products on their systems, he claims. “A telco is a tube, it’s just an infrastructure, it’s like a road, and it should be open for everybody. The builder of the road, they should not be able to say, oh, only the red cars can run on this thing because I have red cars. “So you partner with the telco to offer the service, which we are doing in several countries, but it’s not enough,” he says, adding that companies need to be “part of the telco ecosystem” to build a global business. Mr Mbodje says support from the Senegalese people has been robust, and the dispute has at times been framed as the local champion pitted against foreign players. “They have this spirit now: I will not call it nationalism, but they understand now that it has to come from us. “That’s why you have 99 per cent of the population behind Wari when it comes to that case, and I think the administration sees it,” he says.